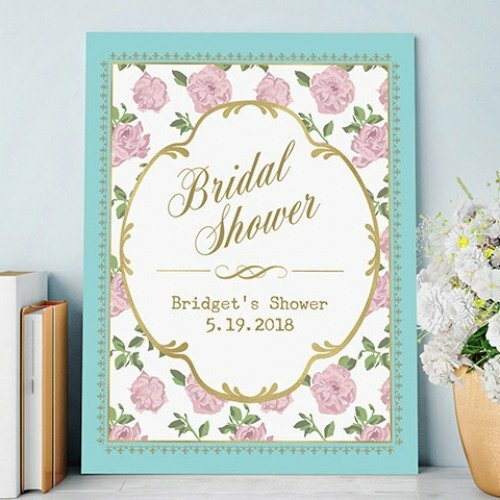 Greet bridal shower guests to your vintage or tea party event with this pretty personalized tea time poster. Featuring an antique rose design, an aqua border, and your personalization, it's the perfect finishing touch to your decorations! Pair with our teapot favor boxes and tea time paper plates to complete the look.